Earlier this year, we did a show in the SWS Virtual Studio about Buyer Consultations - you know, that first meeting where you sit down with a new buyer and discuss his or her wants, needs and desires, describe the home-buying and loan process and basically discover if you're a good fit for each other? During the show, I shared my approach to doing buyer consultations (or not doing as the case may be), and in this follow-up show, we'll hear about a different approach because there's certainly more than one way to effectively work with buyers! What, exactly, should you discuss at this first meeting? How long should you plan to meet? What written materials should you have available? What questions should you ask and what information should you gather? Should you require loan approval beforehand? When should you bring up buyer agency? Should you plan to look at homes the same day? How do you inspire the buyer to want to work with you if they are still in "interview" mode? Or, conversely, how do YOU determine if this is a buyer you want to work with?! We'll have Virginia Madden in the Studio with us to discuss all this and more. Virginia is an exclusive buyer agent and the broker/owner of Buyer's Choice Realty in the Great State of Alabama. 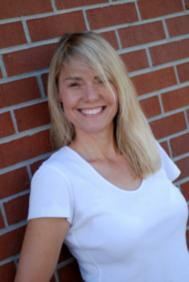 She is also an Accredited Consultant in Real Estate® and offers additional non-traditional services to buyer clients. Bring your questions and be prepared to take lots of notes! Sound like fun? If so, please join us! Title: "The Art of the Buyer Consultation"
Interesting. I can't make it, but I would listen in if I could. Maybe next time. Great show and I loved the fact Virginia has a solid business model and knows how she wants to conduct her business. Very professional! Post © 2019 Jennifer Allan-Hagedorn, Author of Sell with Soul (Sell with Soul). Design © 2019 ActiveRain, Inc. All rights reserved, Inc.